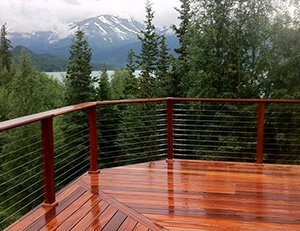 Custom fabrication that's attractive, versatile and affordable, with an extensive selection of fittings for both wood and metal rail applications. A trusted, industry-leading manufacturer of superior engineered stainless and aluminum cable railing systems for residential, commercial and industrial applications. 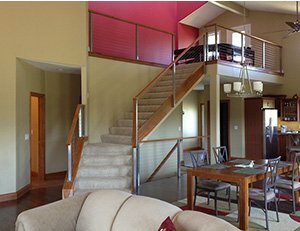 Fully-engineered aluminum railing systems with slim top and post profile, available in custom colors with anodized bronze and black powder-coating in stock. 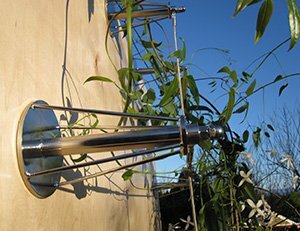 Trellis Systems ideal for rooftop gardens, commercial settings or any residential area, featuring low-maintenance 316 stainless steel to resist corrosion. Highly-durable stainless steel posts and cable assemblies complete with swaged fittings for enhanced beauty, performance and minimal annual maintenance. We are the stainless and aluminum cable railing system experts! 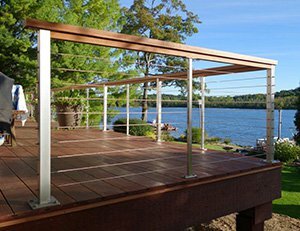 Learn more or get a free quote on our stainless and aluminum cable railing systems. 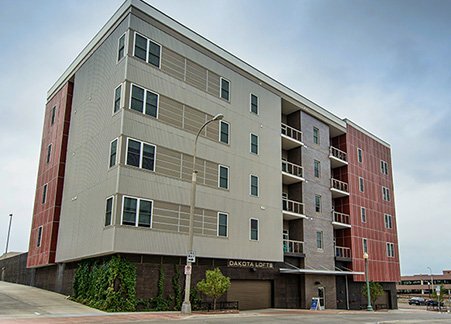 Choose from a wide range of aluminum cable rail systems for your home or office, including maintenance-free anodized, powder coated, fascia and surface mounted posts. Remarkably durable stainless cable and railing systems assembled here in the USA. Engineered stamped & legal, available in surface mounted posts and customer supplied wood-top rails. We manufacture Trellis Systems of the highest quality from 316 stainless steel. Green wall applications increase beauty, privacy and energy savings! A comprehensive inventory of rugged 316 and 316L stainless cable in a wide range of sizes for every cable railing application. From residential to commercial hand rail systems, all SCS fittings are made from 316 stainless, and guaranteed to withstand the test of time. Custom assemblies made to your exact specifications. Choose from multiple combinations of stainless hardware for any of your cable railing projects. 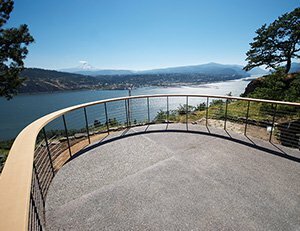 Regardless of the specific nature of your cable railing project; be it a commercial or residential hand rail, a custom one-of-a-kind trellis system, or indoor/outdoor application, you can have absolute confidence in the quality, safety and long-lasting reliability that goes into every cable railing system we manufacture. 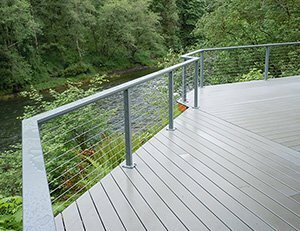 Our hand railing systems are made from extruded aluminum and 316 stainless steel cable and hardware, in a full spectrum of sizes and design styles to complement your project flawlessly. Stainless Cable Solutions has worked with everyone from local homeowners to international global leaders, imparting the same high levels of dedication and quality control on every system we design. All products are developed in the USA and guaranteed to deliver the style and performance you demand from a leader.